I had planned my second blog in this series to be about deportation. Explaining how under the Obama administration there has been more deportations in 3 years than in all 8 years of the Bush Administration. 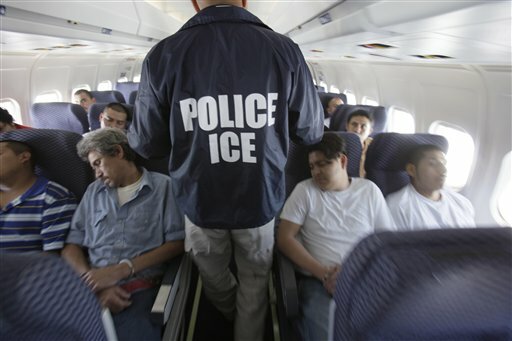 I had planned to talk about how every week (typically Wednesday) one or more jets leaves MSP airport for the border, those being deported are cuffed in the plane and once landed they are loaded on a bus, driven to the border and marched to the other side. Those being deported for a third or fourth time are often flown to to Mexico City, making it harder to re enter. I had planned to discuss the huge cost of detaining and deporting these people, most of whom are guilty of nothing more than a misdemeanor; crossing into the USA without proper documentation is an administrative offence, similar to a parking ticket. But now yesterday Obama announced a game changer. 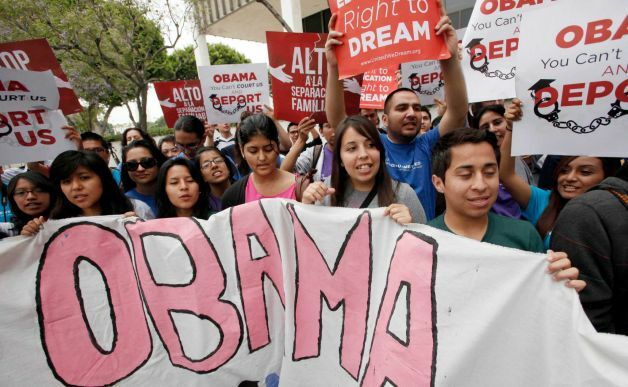 A type of Administrative Dream Act, that will halt the deportation of Dream Act Eligible youth and offer work permits to those who have graduated from high school. Thanks Obama, it’s about time to make good on a promise. Sure, it was a political move, just as it has been a political move by the Republicans to block the Dream Act and all immigration reform for the past 10 years. But, it was a political move that will open doors and raises hope for an estimated 800,000 youth. This is good news for these youth and families. The children committed no crime, the USA is the only country they know. I always believed conservatives believed in family values. This act keeps families together and rewards hard work and good behavior. This is good news for America. Our government should be looking for ways to save money and earn more money. This act will save the USA money by keeping thousands of youth out of the expensive process of deportation. This act will generate revenue for the US government, as the students who will file the papers for work visas will pay required fees required for the filings (which is not cheap). Finally, this act will bring youthful workers into the full economy and encourage them to receive training for the high skilled work force the 21st century will require. The work force of the USA is aging – youthful, trained workers are required to keep our economy competitive and to pay the cost of the baby boomers retirement. Yesterday I tuned my radio for a few minutes to some “conservative talk” radio, they were trying to spin this announcement as a “bad deal” for America, I’m not sure why. The only people who may find this announcement as bad news are gang leaders and drug dealers, who now will find it harder to recruit undocumented youth into their ranks. When legal opportunity exists criminal activity becomes less enticing. There is still much to do in creating a long-term solution, this is a stop-gap measure. However this will force the legislature to finally address the issue in a way that moves past partisan politics and seeks a just solution to regional economic and human rights issue that we can no longer ignore or hope to deport away. You should talk about how many people became legal under Obama too. He made an announcement five months before election. We’ll see their actions. Was I wrong to perceive that these crazy State laws (e.g. Alabama) were having a ‘fear impact’? Did the greatly reduced numbers moving across the border create the opening for him to make this announcement? ie Does this continue to be both sides posturing and playing with the issue instead of dealing with it? I’m willing to call the announcement a game-changer when the reality on the ground changes. The Administration has exerted more effort opposing states like Alabama then they have to advance reform. And here is what I really don’t like. I think Obama falls victim to the tragic dilemma of every President. They get in office and every day they are briefed on hard and real realities confronting this world–and they realize they are sitting on a powder keg. They spend the rest of their years ‘tip-toeing through the china shop’ afraid they will knock over the global financial system, start the last war any human will witness, leave the door open for a terrorist to de-capitate the US government OR, God-forbid, lose political power. In the end they cannot speak honestly about their little journey though the china-shop and the strategies/powers they use (e.g. 875,000 intelligence employees and counting) to maneuver a minefield without tipping the nation/world into panic mode. ALL the while ramping up FEAR by failing to honestly lay out the realities so hard issues are addressed; and increasing the chance we will not be a self-governing nation but one of tyranny.